We Design, Build and Deliver Top Ranking Augmented reality apps. IQlance delivers AR apps on smartphones and smart glasses to create a terrific and out of world virtual reality experience for you. If you point your device camera to an image, location or object, information in digital form will flash on your screen as graphics, objects, audio and video right on the screen with the aid of this feature. Once the app finds the relevant information from the database, it positions them over the image of the object on your phone’s screen. IQlance is a mobile App development company Canada, that provides world class services in Augmented app development. IQlance has an expert AR app developer team that offers global solutions in AR software development services to our clients in Canada and globally. Our team focuses on employing latest trends in AR app development with high end functionality. 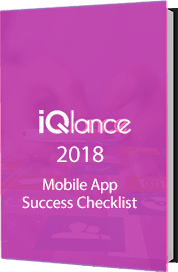 IQlance testing team’s role is to control the performance of Mobile app in almost all Operating Systems for every existing screen resolution. IQlance is the pool of Android and all other OS mobile apps that makes them a brand to look out for and a name you can easily rely on. Augmented reality app development requires cutting-edge technologies. Our team comprises of experienced and highly-qualified AR Developers that can deliver the best possible apps as per your branding needs. Evaluate and Analyse client requirement: Getting to the core of any business objective is central to good app development. We, at Iqlance understand this really well and spend quality time and resources to understand the basic nature of our client’s requirements. Create interactive design: After having analysed client’s idea of app, our expert designers plunge into the Augmented Reality App design process using quality and high end design tools. Build code: Once the blueprint is ready, the Augmented app developers create code for the app taking the app development process one step closer to final launch. QA: Our quality approvers test for discrepancies in the final product and our trouble-shooters make sure that all issues are fixed before the product is uploaded to APP store. Product launch: The final product is released and launched into the market ready for use by target audience.